Nearly every driver has experienced it one way or another–road rage! Road rage is driving in an aggressive or hostile manner. While its natural to feel some level of anger or frustration when someone cuts you off; pushes their way in between you and the vehicle in front of you; or the vehicle is weaving back and forth in front or beside you, clearly distracted; the actions you actually take matter. The shoe may even be on the other foot, maybe another driver thinks you have somehow been driving inappropriately on their response escalates the situation and perhaps even endangers you. Jerry Deffenbacher, PhD, a psychology professor at Colorado State University, notes that even typically calm, reasonable people can sometimes turn into warriors behind the wheel; when provoked, they yell obscenities, wildly gesture, honk and swerve in and out of traffic, and may endanger their lives and others. A recent study by the AAA Foundation for Traffic Safety found that nearly 80 percent of drivers expressed significant anger, aggression or road rage behind the wheel at least once in the previous year. In a survey conducted by the AAA Foundation, nearly 9 in 10 respondents said they believed aggressive drivers were a “somewhat” or “very serious” threat to their personal safety. 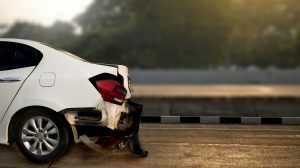 Previous research by the AAA Foundation found that from 2003 to 2007, over half of fatal crashes involved at least one driver who performed a potentially aggressive action.